For most parents of pre-teens, the first signs of “fang” teeth make you start to worry — is it time for braces? If your child is the 1st in their family to get braces, then you may want to see the types of problems we correct before booking a checkup. Or, if you have been through braces yourself, you will probably want to see what we do that makes treatment so much more comfortable for your child. I'm a second generation Orthodontist and Professor of Orthodontics at Temple University. If you want peace of mind in knowing what dental obstacles could keep your child from having a nice smile, then my team and I can help. Call 732-274-2211 to book an appointment with me. What if it’s too early for braces? Most parents worry about starting braces too early for their child. Many parents find out too late that some orthodontic problems have a narrow window of time for the best treatment. For example, crowded teeth need extra space to straighten. Nature gives most children enough room for their teeth - but space is lost as the adult teeth emerge. We help parents get help for their child at the right age to hold the space needed for their child’s adult teeth. Another example is impacted canines. Impacted teeth usually require surgery and extensive orthodontic treatment. By looking at an x-ray for developing impactions at age 7, parents can prevent future problems. 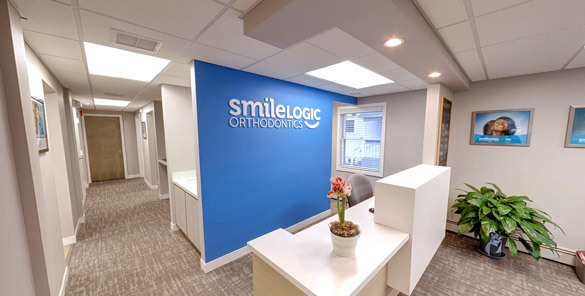 Book an appointment for a braces consultation at Smile Logic Orthodontics in South Brunswick, NJ. Learn if it is the right time for your child to get started with braces. Your first visit is a checkup where we walk through the problems Dr. Viechnicki sees and what your child’s treatment would look like. 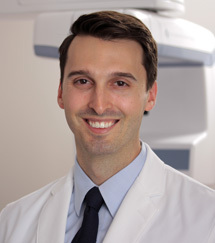 To book your child’s complimentary consultation, call 732-274-2211 and ask to see Dr. Viechnicki. Or, you can get to know more about Dr. Viechnicki here.